If you had read my beauty wishlist for 2017, you would have seen I listed down Alanna as one of the brands I need to try out in this year. And I was really surprised and happy when Alanna contacted me to review some of their products. Today I will be reviewing Alanna Naturally Beautiful Golden Glow Face Pack. The name itself sounds tempting. Who doesn’t want a golden glow like a goddess 😊? I know the market is filled with face packs promising the same. But most of them don’t really give a glow as claimed or they are filled with lot of chemicals. On the contrary, Alanna promises to give a golden glow with all natural ingredients. So read on to know my experience with the product. Before proceeding, I will brief you in short about the brand. At Alanna Naturally Beautiful our entire journey as a brand so far has been in creating fine crafted formulations that are made of finest ingredients, last a decent shelf life without any preservatives, provide you the desired skin benefits and still manage to fit in your budget. We make Handmade 100 percent Natural Skincare products that are a heavenly treat for your senses and provide you amazing results for your skin. Our products will make you feel delighted with its experience as they will give you a luxurious feel but are easy on your pocket. All our products are Handmade and are made only in small batches so that we can keep the quality of products in control along with the feel of freshness. Our products are essential oil based and there are no artificial fragrances used. Each and every ingredient that goes inside the product is carefully selected and it is there for a specific therapeutic reason. An ideal formulation of Turmeric powder, Aloe Vera and Avocado oils is specially designed to soothe dry skin and acts as a skin care agent. Turmeric provides a great brightening effect on the skin and maintains the skin elasticity along with keeping a check on the release of oil levels in the skin. Avocado too reduces the appearance of age spots while restoring the natural skin glow in a completely wholesome manner. Firstly, let me talk about the packaging. All products of Alanna Naturally Beautiful have a beautiful, luxurious packaging. 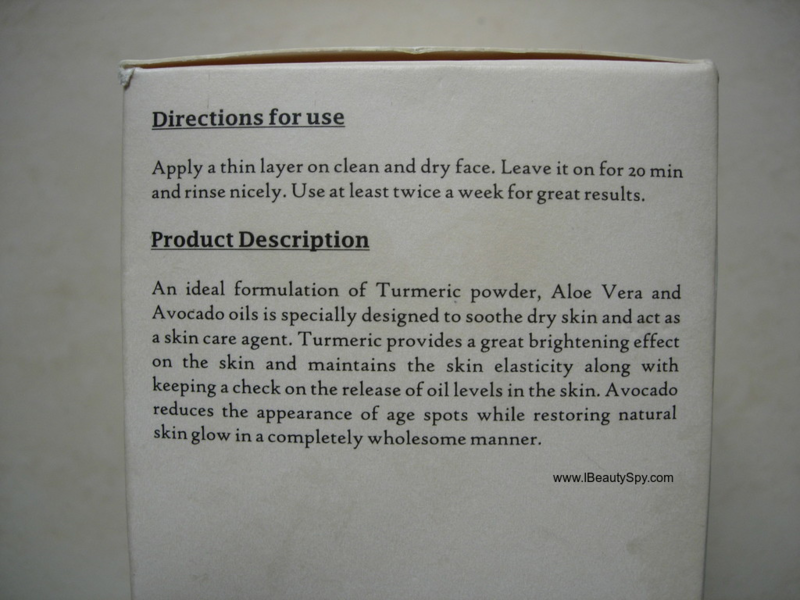 The face pack comes in an outer cardboard box with a beautiful, golden lid tub inside. Full marks for the luxurious packagin. Click here to know more about the packaging company in Australia. 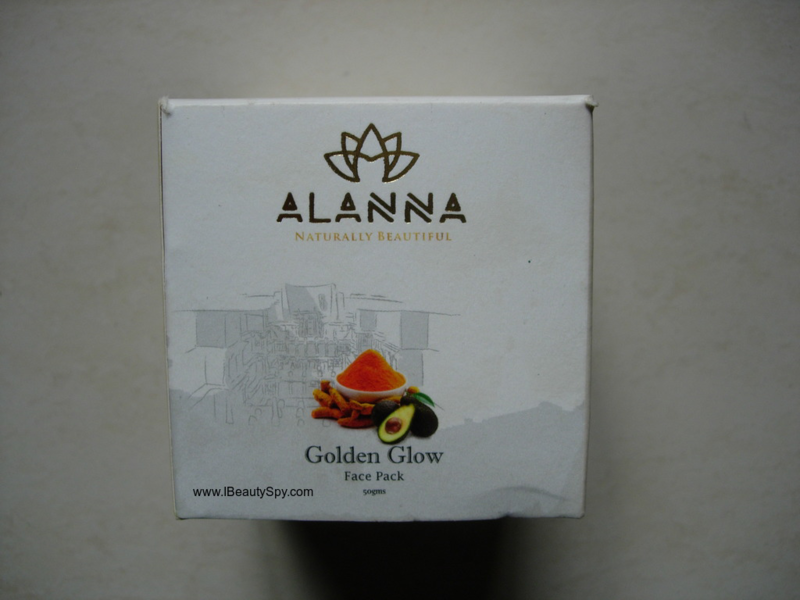 Alanna Naturally Beautiful Golden Glow Face Pack is yellow in color with a gel-like consistency. It has a strong smell of turmeric. Some might not like it, but I quite liked the herbal scent. I take little quantity of Alanna Naturally Beautiful Golden Glow Face Pack and apply a thin layer on my face. I have tried applying both thin and thick layer and found the results to be same, hence sticking to thin layer to avoid wastage of product. On applying, it feels very cooling and soothing on the skin. It dries in 15-20 minutes. Being a gel mask, after drying, you can feel a stretchy feeling of the film. I wash off and pat dry. And my face truly has a golden glow. Right from the very first use itself. Alanna Naturally Beautiful Golden Glow Face Pack is also very effective in removing tan. Even in one use I could tell the difference on my face. Most of my tan was removed. It also helped in removing some pigmentation on my cheek and chin areas. It lightens and brightens my face giving a glow which lasts for 2-3 days. Since its very effective in tan removal, I used it on my hands and the results were similar. I would recommend using this face pack for atleast 3 times a week. Also, since its gel-based, it doesn’t transfer or create a mess unlike clay or powder masks. You can just apply on your face and hands and even take a nap without worrying about the pack transferring to your blankets and creating a mess. Alanna Naturally Beautiful Golden Glow Face Pack is very hydrating since its gel based and contains aloe vera, honey and avocado oil. It doesn’t make my skin dry like clay based face packs. My skin feels lot smoother and softer. The ingredients list is limited and simple but quite effective. 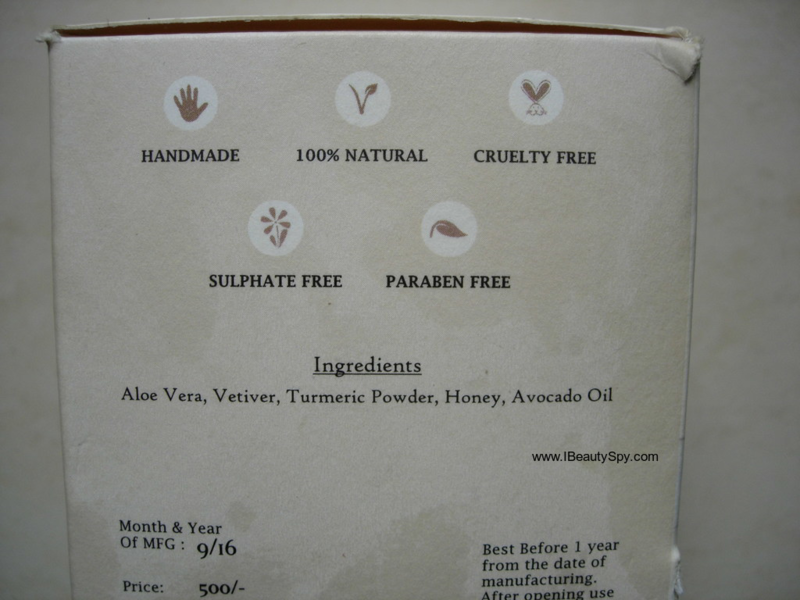 Plus it is handmade, 100% natural, cruelty-free, sulphate-free and paraben-free. The price might seem a bit expensive. But considering its effects on tan removal, pigmentation, lightening, brightening and golden glow, I would say the product is totally worth it. I would highly recommend this face pack to everyone. 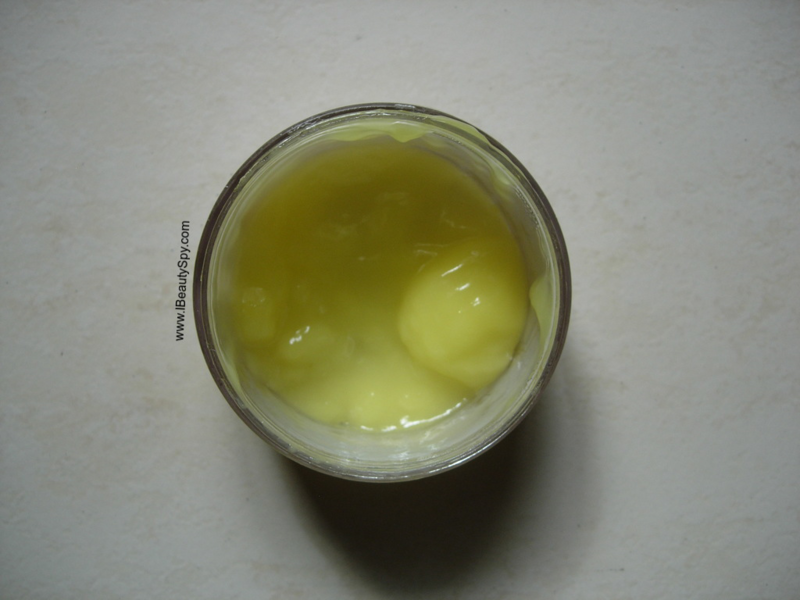 * Gel-like consistency which hydrates the skin without drying. * Gives a golden glow as claimed. * Lightens and brightens skin. * Fades pigmentation and scars. * Makes skin smooth and soft. * Doesn’t transfer and mess-free process. * Handmade, 100% natural, cruelty-free, sulphate-free and paraben-free. * Contains goodness of natural ingredients like aloe vera, vetiver, turmeric powder, honey, avocado oil. Little pricey. But considering its effects, its worth it. 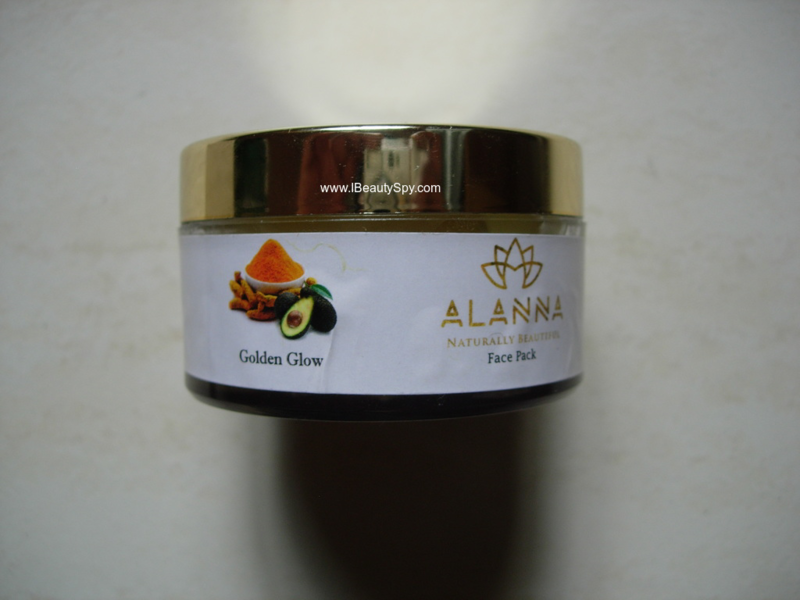 Overall, Alanna Naturally Beautiful Golden Glow Face Pack is an amazing face pack with beautiful effects. Am highly impressed by its tan removal effects. Since I get tanned very easily, I find this very useful and easy to use. Unlike other face packs, it is not transferable and creating mess. I would highly recommend this product if you are looking for tan removal or if you are having dull, dehydrated skin and need an instant glow and brightness. P.S Product sent by the brand for consideration. But my opinions and reviews are honest as always. handmade face pack, wow! sounds so good! Yes, it is very good. Do try it once, Aditi.. The pack sounds really amazing and the ingredient mix is quite good.